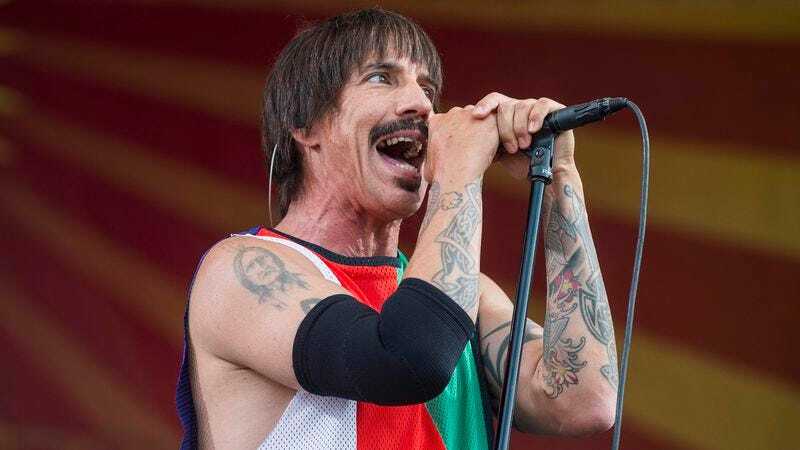 Billboard is reporting that Anthony Kiedis, lead singer and co-founder of the Red Hot Chili Peppers, has been hospitalized today. The band was scheduled to play a headlining set at tonight’s KROQ Weenie Roast in Los Angeles, but were forced to cancel the show after Kiedis was transported from the venue in an ambulance after developing intense pains in his stomach. Weezer filled in for the group, extending their originally planned set. Various news outlets are making inquiries with the band to determine the status of Kiedis, who’s 53. We’ll update this story as more information comes to light.